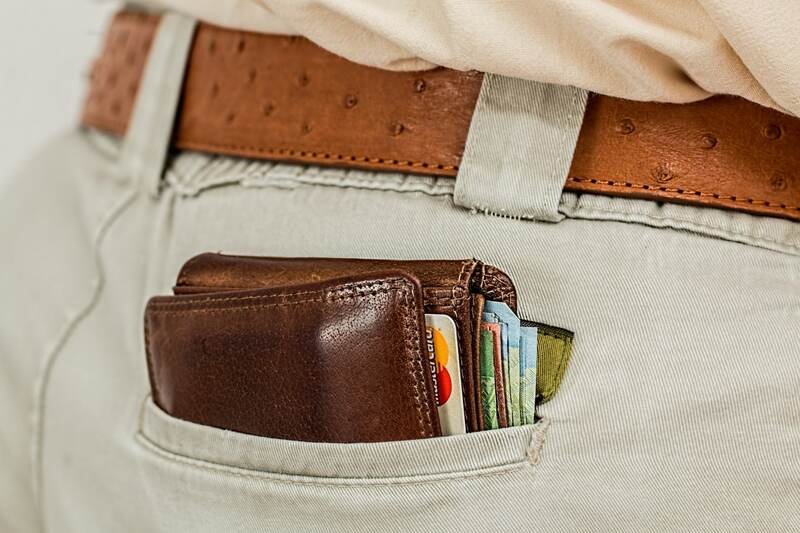 Is it truly FinTech or old ‘Fin’ in the garb of new ‘Tech’? As a Seed Fund, we come across at least 3–5 new fintech startups every week. Undoubtedly, few of them have path-breaking ideas with true potential for disruption but most of them are me-too companies boasting of swanky tech platforms with very little innovation. After frantically spending nearly ten minutes on the Uber app, I finally found one cab; driver Nilesh was to pick me in exactly five minutes. I quickly called him to ensure he’s on the right track. Although, he tried to sound calm, I could figure that he was struggling to read the map. He arrived nearly ten minutes late in his shiny new white Tata Indica. I got in and after a few minutes, we got talking. I learned that this was his first ever formal job, today was his first day with Uber and I, his first ever passenger. Earlier, this 20-something boy used to do multiple odd jobs resulting in erratic income cycles and rising frustration. He finally decided to join the Uber bandwagon and luckily, all it took him was a month to get a loan, buy a car and here he was. Nilesh’s story highlights multiple aspects of a rapidly growing India — high proliferation of technology in everyday lives, openness to entrepreneurial roles (not just salaried), willingness to borrow but above all, ease of access to credit with the power to dramatically change lives. The last reason is also why most Venture Capital firms today are chasing ‘FinTech’ startups. A testimony to this is the fact that global investment in fintech companies reached $19.1 billion in 2015. 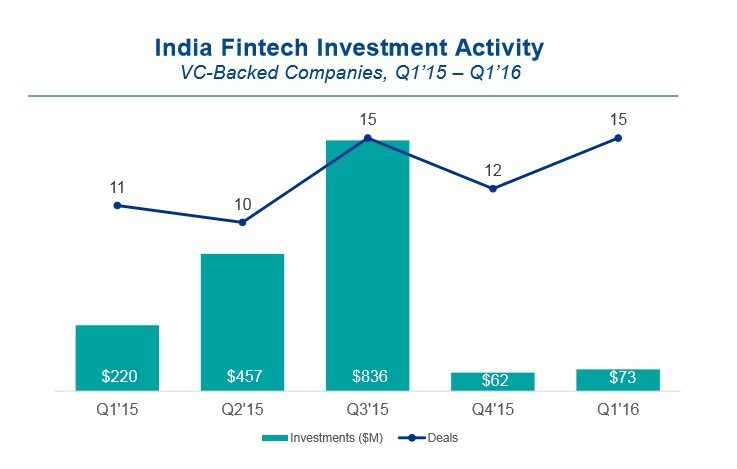 Closer home, Indian fintech startups raised $1.5 billion in investments in 2015, more than six times that of the previous year. Source — The Pulse of Fintech, Q1 2016, Global Analysis of Fintech Venture Funding, KPMG International and CB Insights (data provided by CB Insights) May 25th, 2016. As a Seed Fund, we come across at least 3–5 new fintech startups every week. Undoubtedly, few of them have path-breaking ideas with true potential for disruption but most of them are me-too companies boasting of swanky tech platforms with very little innovation. For instance, there are numerous lending marketplace startups promising to provide credit to small businesses or unbanked/underbanked individuals. While these companies do a great job of digital marketing, inviting applications and onboarding borrowers, loan conversion rates are dismal, often being as low as 1%. Of course, the tech platform allows for seamless discovery of services and applications, but the eventual movement of money is through traditional channels that often movfail to keep with the pace of these new-age Fintech startups. So, is this truly fintech? Perhaps not. 1. Micro-savings — Digital saving platform companies such as Hello Digit and BoostUp are leveraging technology to promote micro-savings. While such startups are few and far between, they have the potential to create mass disruption in the way we traditionally save. Entrepreneurs are also attempting to build B2B businesses that provide technology platforms to otherwise traditional saving businesses. Such companies have a two-fold advantage — they earn revenues linked to a growing asset base and at the same time, are insulated from credit risk associated with underlying assets. 2. Alternative Credit Scoring & Lending — Innovative credit scoring models based on proprietary algorithms that use mobile phones, social media and other digital data to provide credit to the unbanked/underbanked make for attractive investment targets due to their potential for rapid scale with a focus on cost efficiency. Africa, China and Latin America have been at the forefront of innovation in this space: Branch, Lenddo, InVenture, China Rapid Financeand Cignifi are some examples. 3. Invoice Discounting — These are startups that are trying to provide credit to small suppliers of large companies by discounting their invoices. In simpler words, small suppliers can now collect money quicker and put those funds to productive uses. These startups use digital data to verify authenticity of invoices: lack of avenues to verify authenticity is a big reason why these suppliers aren’t currently being catered to by banks today. A success story in this space is Prime Revenue, a supply chain financing company that has processed more than $100 billion worth of transactions on its platform. 4. Micro-insurance — This is a space that hasn’t witnessed much activity in the Indian startup ecosystem yet. However, BIMA is a leading global example and an insurance tech player that uses mobile technology to disrupt the insurance industry and fuel financial inclusion. The company has reached 20 million customers across Asia, Africa and Latin America; 90% of whom are accessing an insurance product for the first time in their lives! It would be interesting to watch such a success story being replicated in India. While the above areas are clearly exciting from a financial inclusion perspective, there are a few sub-sectors that inherently do not lend themselves for mass scale adoption, making them unlikely targets for early stage impact focused funds. Such sub-segments are unlikely to be solving a pressing need for lower income sections of the population, thereby limiting their potential for mass scale financial disruption. 1. Payments — This is perhaps one of the largest Fintech sub-sectors in terms of innovation and investment activity. Technological advancements in payments are changing the way the Indian consumer spends money.Unfortunately, these companies typically require large marketing spends to drive customer adoption and in turn, earn a sliver of the transaction value and, as a result may not be a great fit for early stage impact-focused funds. 2. P2P Lending — Online P2P lending companies work as marketplaces that bring individual borrowers and lenders together for loan transactions without the intervention of traditional financial institutions. This is a sub-segment that has the potential to be a strong alternate investment/lending channel. It will be interesting to wait and watch as to how this sector evolves especially with regard to the regulatory environment as RBI is keeping a close watch and is in process of formulating regulations for this space. 3. SME Lending Marketplaces — From an impact lens, these startups need to cater to the long tail of SMEs. So far, most of the companies tend to be lead gen channels for banks or finance companies without creating true disruption or significantly shortening time to credit for small businesses. 4. Real Estate Tech Platforms — There are some exciting business models being evolved here such as extending the mutual fund/pooling concept to make real estate investments more accessible and affordable, elimination of middlemen by using technology to discovery properties, leveraging technology to verify property titles etc. However, this space too is unlikely have potential for mass disruption as it doesn’t currently solve a pressing need for lower income sections of the population. So, what are the kind of Fintech startups that funds such as Unitus Ventures (formerly Unitus Seed Fund) would like to invest in? The power to create a multiplier effect is what draws investors, whether mainstream or impact-focused, to Fintech companies. The Uberization of banking, the WhatsApp moment in the financial sector, the Unbundling of banks- whatever words you may choose to describe the ‘Fintech’ revolution, the truth is that startups creating true mass scale disruption are here to stay. We, at Unitus Ventures (formerly Unitus Seed Fund), are looking for Fintech startups that have the potential to create mass scale impact by leveraging technology to provide financial services at a fraction of the current cost. We’re looking for real Fintech, not old Fin in the garb of new Tech.